show of Tweets – Old ‘Flitwick’ or New ‘Flitwick”? What say you? Feel free to weigh in the comments below. 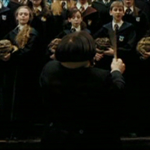 As a reminder too that as we first posted last month, fans will see a deleted scene with Flitwick and the choir on the upcoming Harry Potter and the Half-Blood Prince DVD. 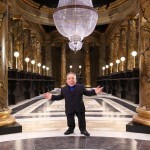 Warwick Davis will be see in the upcoming Harry Potter and the Deathly Hallows movies as both “Flitwick” and “Griphook,” and will be filming his role in the very near days. Weekly Round-Up: Warwick Davis Takes the Stage at Star Wars Celebration, Cast Trailers & Interviews & More! 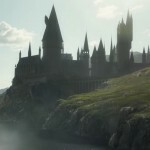 A First Look at Gringotts with James & Oliver Phelps & Warwick Davis!